Simply put, there have been some entrances and some exits in recent Statewide Republican primaries. Namely, in the races for the positions of Agriculture Commissioner and Railroad Commissioner. Brandon Creighton, a State Representative from Magnolia who took his sweet time to announce his candidacy for Agriculture Commissioner, is out of the race. As far as I could figure, Creighton was the hands-down favorite in the race thus far, and his exit opened up a vacuum. Politics, of course, abhors a vacuum, and therefore a small stampede of candidates rushed into the primary, which now lacks a clear frontrunner. I never got around to writing about this last week, but Sophia discussed it in the week in review this past Sunday. Now, the Texas Tribune reports that State Representative Stefani Carter, a candidate for Railroad Commissioner, has dropped out of the race. Carter, in stark contrast to Creighton, was not doing especially well in the race. Malachi Boyuls, George P. Bush’s business partner, has by far the most money in that race, and thus was crowned as the frontrunner by the Tribune. Carter, therefore, most likely felt her candidacy was not worthwhile. Click here to learn who the new candidates are and what the former candidates will now run for! This morning I attended Brandon Creighton’s announcement for his bid for Texas Agriculture Commissioner in Montgomery, Texas, where his family has resided for over 170 years. Immediately preceding his speech, Reps. Steve Toth and Cecil Bell, both Republicans of Montgomery County, spoke on behalf of their friend Creighton and their personal excitement over Creighton’s announcement. Touching on their strongly conservative and anti large federal government platforms, they finally yielded to the Representative Creighton. He then delivered a fiery speech for the crowd of supporters and locals. Creighton also spoke favorably of both Rick Perry and Todd Staples. Accompanied by his family on stage, Representative Creighton spoke of his conservative credentials and strong background in agriculture. 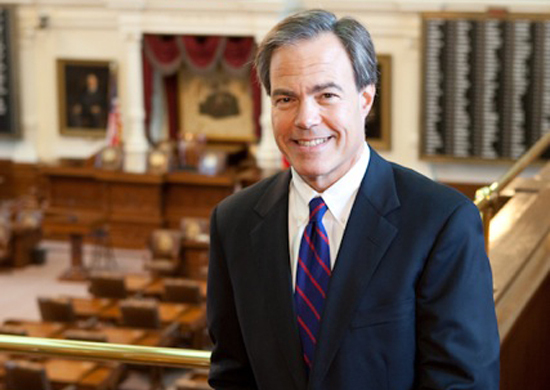 He also touched on his pro life and anti Obama stance, wanting to keep Texas out of the hands of the federal government. This was echoed by a round of applause from the largely homogeneous crowd diversified only by gender. While the speech served its purpose in gaining support, it failed to be full of substance regarding plans for the future of Texas Agriculture. More than a few comments about an agricultural platform would have sufficed at that point. In the end, a passionate speech was heard but little knowledge was gained. The position of Agriculture Commissioner should not simply be a platform for higher office, or one for Tea Party rebel-rousing. As ridiculous as Todd Staples’ (the current Agriculture Commissioner) horse commercial was, it provided a great insight into the role of the Agriculture Commissioner. Sadly, Creighton did not give any concrete path as to how he would lead in that new role. Sophia Arena is Texpatriate’s newest Staff Writer.